1945... The Red Army have invaded and pushed the Axis forces back west, driving them beyond the Danube river. Budapest is under siege, its garrison is trapped and fighting a desperate battle. To save them and secure the borders of the Reich, the Axis armies launch three relief operations. Unable to break through, a larger offensive is planned for the spring. Utilising the last of the panzer divisions, Operation Spring Awakening will try to drive the Red Army back over the Danube and secure Germany’s remaining oil supply; without it, the war will be over. • BACKGROUND A general overview of the war in Hungary in 1945, viewed by the Germans as their priority front line. From the siege of Budapest, through relief Operations Konrad I, II and III, to Operation Spring Awakening and the large Russian counter-offensive that would drive Russian tanks all the way to Vienna. • ARMY LIST Designed to be used with the Russian army lists already published in Battlegroup Fall of the Reich, this book contains two new army lists, for the last German panzer divisions and the Hungarian army, as well as alterations to the Russian Fall of the Reich army lists, to better recreate the battles in Hungary in the winter and spring of 1945. • SPECIAL RULES New special rules to adapt the core Battlegroup game to the Hungarian battlefields of 1945. The special rules recreate the character of the armoured clash, with the last of Germany’s panzer forces, SS and Heer, aided by their rather unreliable Hungarian allies, to face the powerful Russian Tank Corps. All take place in the winter snows and spring thaw mudbath, in the largest clash of late-war heavy armour. This book requires Battlegroup Fall of the Reich to use in full, including its Battle Rating counters. 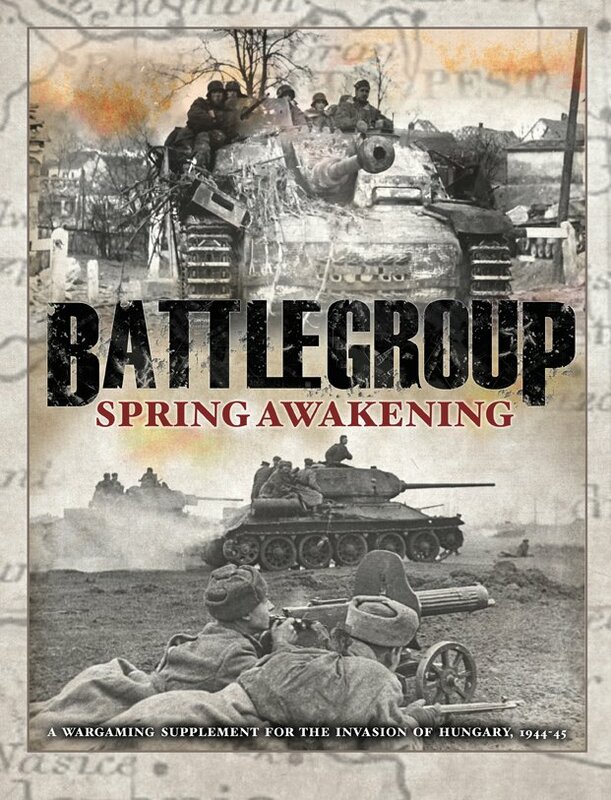 • CAMPAIGN Six new historical scenarios in a detailed narrative campaign for 1st SS Panzer Division’s hard-fought assault along the Sárviz canal during Operation Spring Awakening.